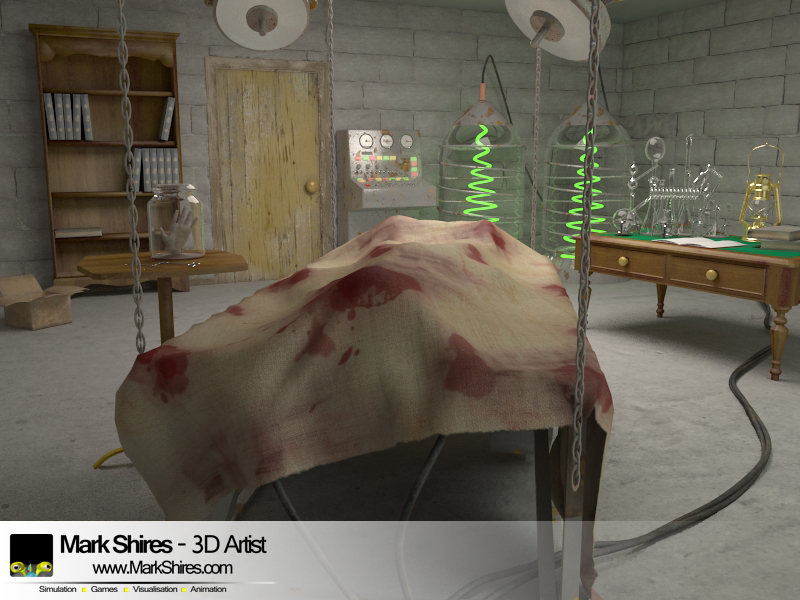 Just thought I would share one of my recent projects with you here, it is a basement lab scene, inspired by frankenstein's lab and is to be used as a background image in an upcoming game. Good to see something new Maybe it could be a little bit darker but I don't know. Matter of taste For what king of game it is? Thanks Baalnazzar, I agree it should be darker, but the developers wanted it this way so that they could do some clever stuff with the lights, I have created a few different shots which have different things appearing/disappearing. I have not been told much about the game to be honest it is a bit 'hush hush' but I would imagine it is a kind of adventure/puzzle type game like broken sword type.